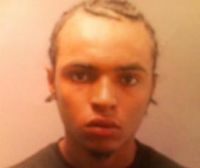 A 19-year-old Rhode Island man has been arrested by police after they say he raped a 4-month-old baby girl. The case against Emanuel Baptista, of Pawtucket, began after the child was taken to the Hasbro Children's Hospital in Providence on Thursday with several injuries, among then several broken ribs and a broken arm. While examining the baby, doctors found reason to believe the baby had been sexually assaulted and immediately alerted police. After a subsequent investigation officers arrested Baptista and charged him with two counts of first-degree child molestation and two counts of child abuse. Baptista is reportedly a relative of the victim. he's disgusting and his family really cried over his sentence meaning they're disgusting.